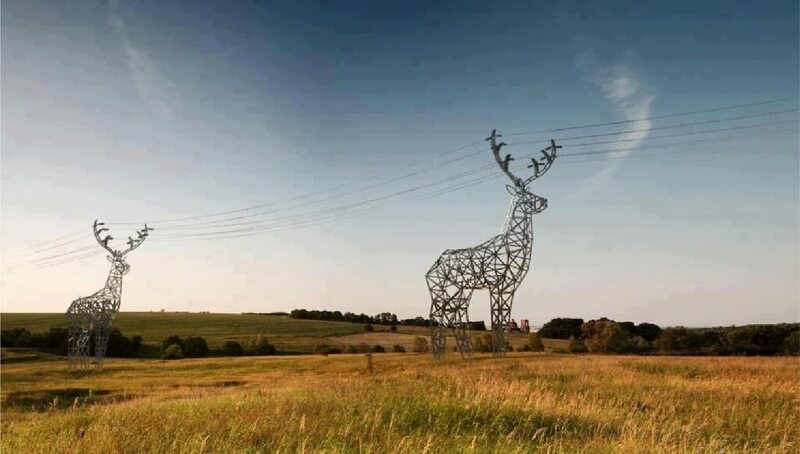 These Russian-designed electrical towers are simply amazing! How many times have you seen an electrical tower built from boring pylons in the classic pyramid shape? These functional behemoths dot the landscape everywhere you look. But what if you could transform those ugly towers into works of magical art instead? These two design firms took on that challenge, and the results speak for themselves. These human-shaped giants are massive and impressive. These towers designed by Massachusetts-based Jin Choi and Thomas Shine won the 2010 Boston Society of Architects Award. The figures can be configured to correspond to their environment. These towers are monuments in their own landscape. Seeing something like this would be an unforgettable experience. These designs elevate electrical towers to something beyond a merely functional design of necessity, and into an unbelievable masterpiece.